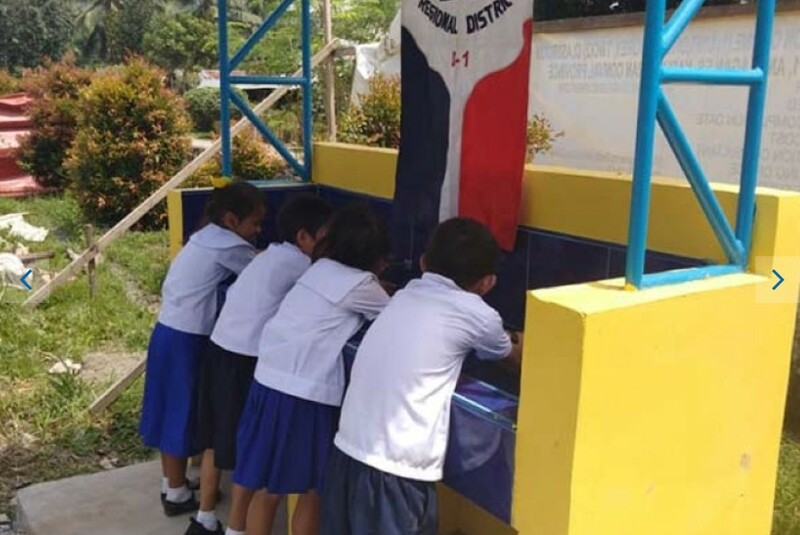 GRADE school pupils in a remote barangay in Compostela Valley beamed with so much delight with the completion of a hygiene-sanitation facility in their school. The children were very excited now that they already have a designated area to wash their hands like when after using the toilet, before eating, or after playing games. Principal Aniceto Malaran and other school officials of Anislag Elementary School in Barangay Anislagan, Nabunturan, Compostela Valley, gladly welcomed the construction of their School Handwashing Station. They believe the structure is essential in teaching their students the regular habit of washing the hands. Not only will this educate the children on the importance of hand hygiene, but will also significantly help prevent the spread of diseases. The new facility, measuring 2.4 meters long and 0.8 meter wide, is made of concrete, topped with ceramic tiles and sheltered by a galvanized iron roof. 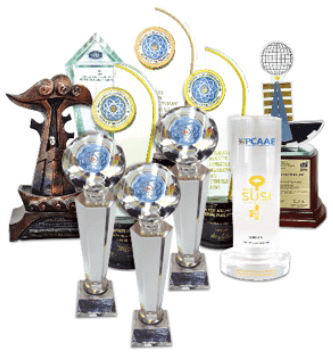 It is provided with four faucets which are within easy reach of a grade-one pupil. This project is an initiative of the North Davao Chapter of the United Architects of the Philippines (UAP), headed by Chapter President Galio Palmera, in partnership with the Rotary Club of Compostela Valley. Its purpose is to provide clean and safe drinking water for proper sanitation and basic hygiene of the students, teachers, and employees of the school. 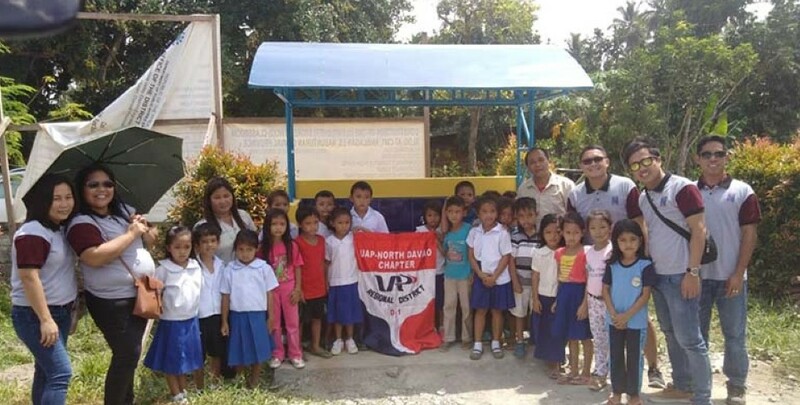 The School Handwashing Station at Anislag Elementary School is part of UAP North Davao Chapter’s “Bayanihang Arkitektura” activity. It is the chapter’s way of giving back to the community by helping address issues requiring the technical expertise of the architects and contributing to the common good in general. It aims to improve the well-being of communities through knowledge-based design skills geared towards solving a wide range of issues that face these communities. Among the core components of this initiative is Water and Sanitation Projects, under which the School Handwashing Station was implemented. Other similar projects undertaken by UAP North Davao Chapter in the past were the installation of a water system for the households in a Mansaka village also in Barangay Anislagan, Nabunturan and the construction of an artesian well in Barangay Tuburan, Mawab, Compostela Valley.